C14098 Wesleyan Service Guild Group at Buck Hill Falls, December, 1949 Names of neg jacket. C14099 Wilma Ruth Eaton--M.D. 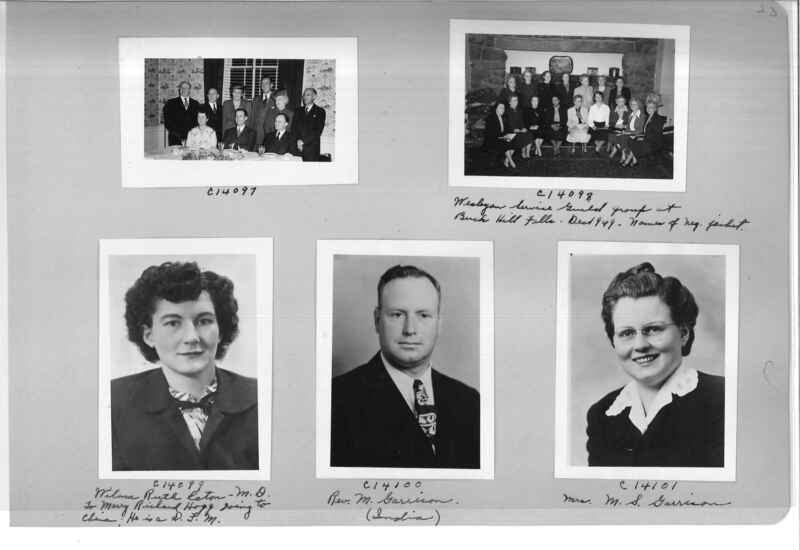 to Mary Richard Hogg going to China; He is a D. F. M.
Board of Missions of the Methodist Episcopal Church , “Mission Photograph Album - Portraits #07 Page 0023,” UMC Digital Galleries, accessed April 18, 2019, http://catalog.gcah.org/images/items/show/60635.